Secret meetings in dark alleyways? 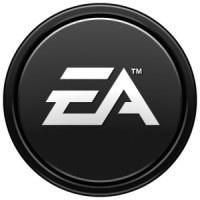 Not when it came to publishing deal with Respawn, says EA. The ongoing saga of Vince Zampella and Jason Ward versus their former employers Activision took an interesting turn when the former Infinity Ward bosses set up a new studio and signed a publishing deal with EA, which was pretty much what Activision thought they were doing and had fired them for in the first place. But according to EA, the deal between it and the newly formed Respawn Entertainment was just a lucky coincidence, and not some nefarious scheme created in secret. "[The Respawn deal] was something that fell into our laps, after they were terminated and announced they were free and independent, and we went for it," said EA Games label president Frank Gibeau. "The fact that those guys are doing what they're doing, we're very excited." "The fact that we were able to take advantage of an opportunity that came our way and partner with Respawn and create a relationship with them has been spectacular, something that we're very excited about," Gibeau said. "It's a key part of how we're growing our EA Partners business going forward."